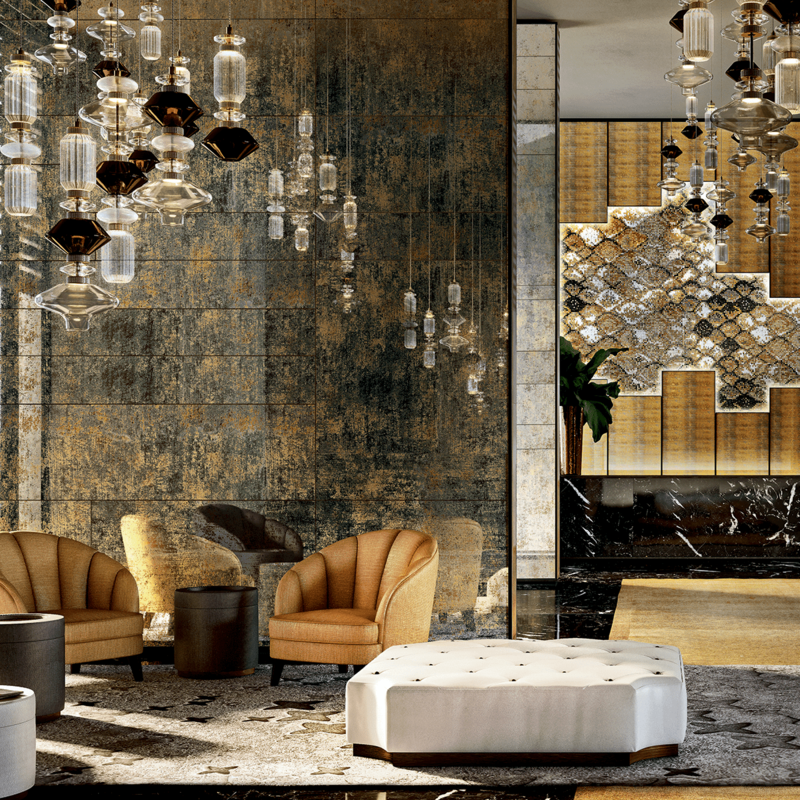 We see bronze as the perfect color to warm a space and enhance its style, gold as a precious source of light. 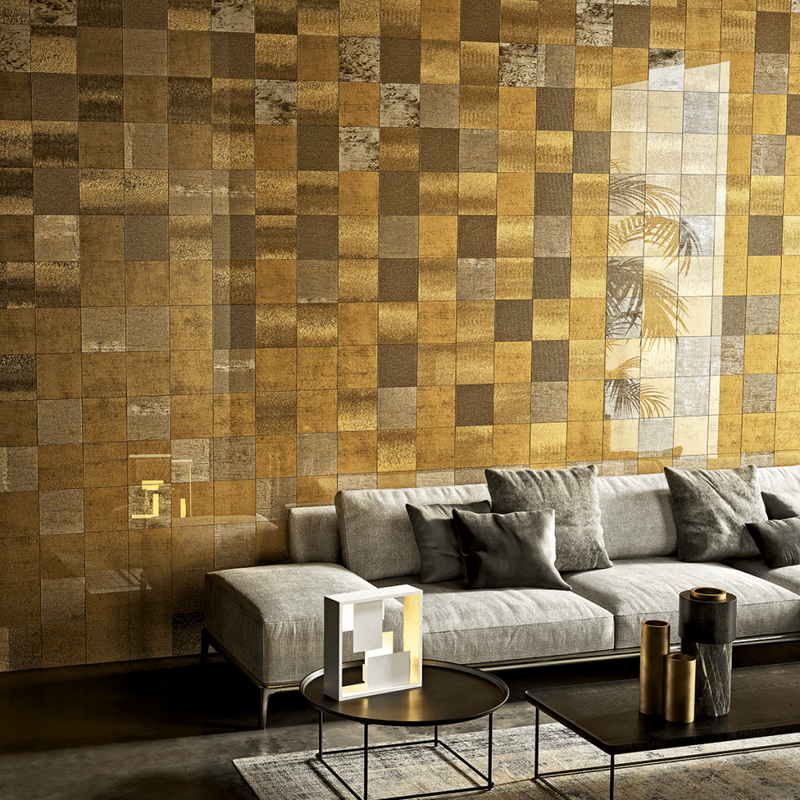 From the surface in Vetrite to the sumptuous mosaic compositions and the finishing of lights and furniture, we’ll show you the various bronze and gold combinations. Bronze is classic and and it compliments a myriad of decorating styles. Either you choose it to cover a broad surface or just as a smaller element of interior design, this color will perfectly blend with your space. 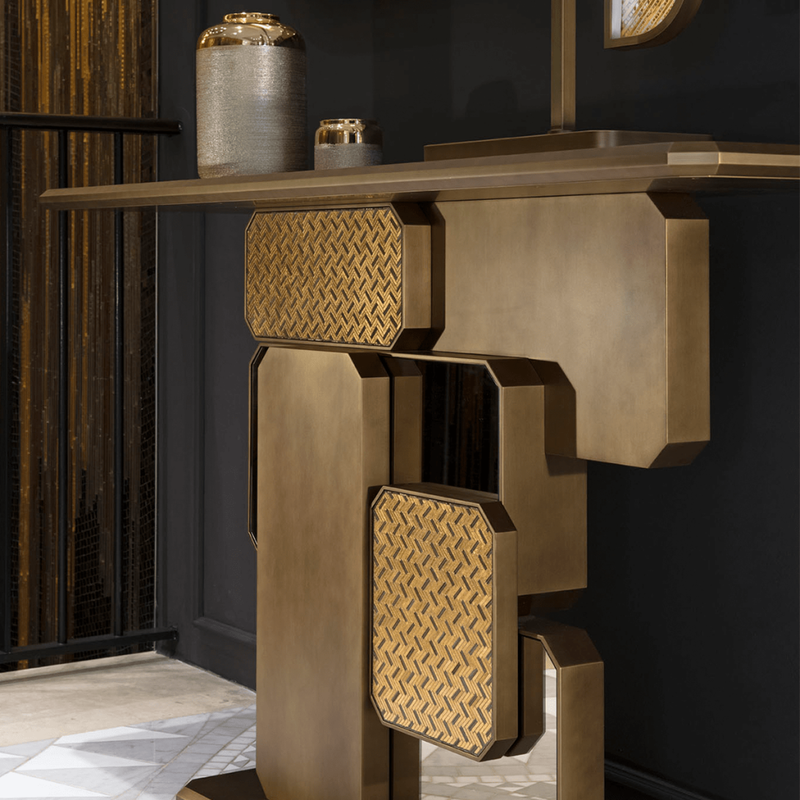 Here you can see bronze and gold expressed by the precision of our tiny mosaic in this doorway table. Inspired by the 2017 interior design trends which see bronze among them, we propose it in different ways. 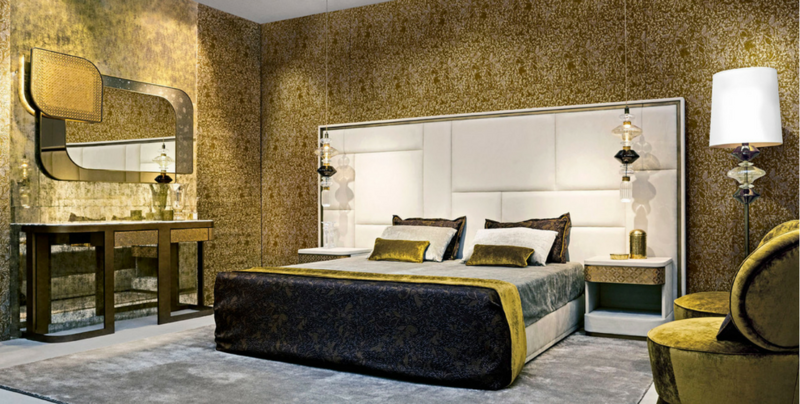 Here you see it how we mixed bronze and gold with the lights, furniture and on the walls covered by the latest product we invented to cover surfaces, Vetrite. The interpretations we made of the bronze trend are countless, all you need to do is to choose the perfect solution for your home and light up your winter!